I’ve got all sorts of connections! Dragons are well known for their networking skills. Sure. You’re telling me you acquired these horads of treasure honestly? 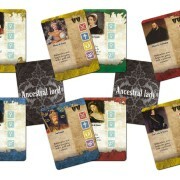 I’ve been intrigued at the idea of a family building game but haven’t quite played one that captures both the story telling element of establishes a dynasty and the intricacies of interacting with competing families. 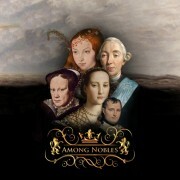 Among Nobles is a historical take on the genre which sets players as the head of a noble family in feudal Europe. 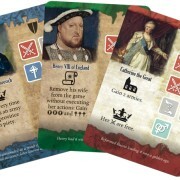 You’ll be balancing the importance of war, expanding your family, and influencing the court. All three aspects allow the players to interact and compete while developing their own dynasty. 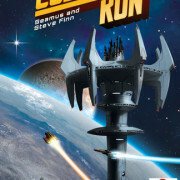 Cosmic Run is a collaborative effort between designer Steve Finn (Scripts and Scribes) and his son. You can feel his son’s contributions as Dr Finn moves from the monastery to outer space and adds in a healthy dose of luck. Cosmic Run is a dice rolling game that has players exploring planets by allocating dice them before they blow up! 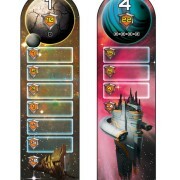 Planets become harder to explore as you move down the track (2 of a kind, 3 of a kind, etc) but aliens can be recruited to aid the players’ efforts and mitigate dice roll luck. This looks be a light and fun push your luck dice game great for any family. 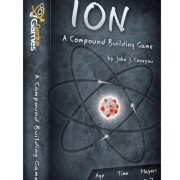 Ion is the latest offering in Genius Games’ excellent line of educational games (Linkage, Peptide) that can be enjoyed at your game group, with your family, or in the classroom. This time around the focus is on chemistry, specifically combining ions to form compounds. 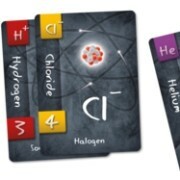 Players draft and play cards during the game to create the ions shown on goals or collected in sets of noble gases. 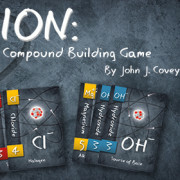 This quick playing game supports up to 7 players and exposes young gamers to elements and common compounds in an intuitive way. 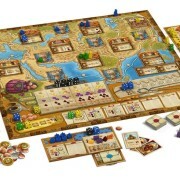 Twitter has been abuzz with word of a Glory To Rome successor nearly 10 years after the game’s release. Asmadi Games wasn’t at the GAMA Trade Show to announce the game but that didn’t stop them from doing their own Press Conference. 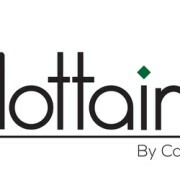 Check in at 8:50 to hear all the details about Mottainai, a quicker more streamlined version of Glory To Rome with players taking on the role of monks in a temple. 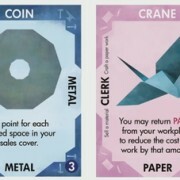 There’s a PNP available for anyone that wants to try it out and help playtest. It seems like Kickstarter campaigns are getting quicker and quicker these days. 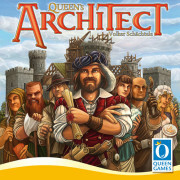 Queen’s Architect showed up and was funded rapidly before ending successfully. If you missed it then you’ll still have plenty of chances to pick it up later this year. 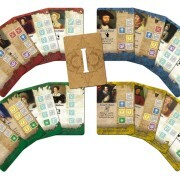 The unique element in Queen’s Architect is workers that change in ability through the game before retiring. Players will be moving around the map, hiring workers, and using them to meet demands based on their workers’ current abilities. The intriguing thing is that workers don’t get strictly better as they near retirement, rather they will both increase and decrease in ability making timing crucial. 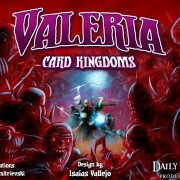 Defend your kingdom from horrible monsters by recruiting brave warriors and hard working citizens in Valeria. This game reminds me a lot of Machi Koro, throughout the game players are building a tableau of characters associated with different numbers. 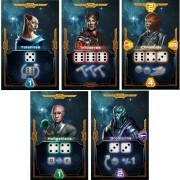 On each turn two dice are rolled and all characters that match either number or their sum are activated. 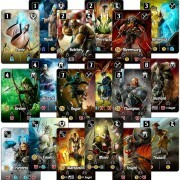 The abilities are different depending on whether you are the active player. 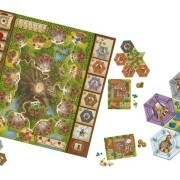 Cleansing the land of monsters or buildings all the domains ends the game and players score points based on cards they acquired throughout the game. 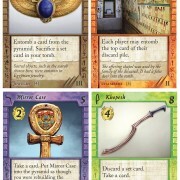 Last year at Origins I got the chance to demo Valley of the Kings from the designer himself, Tom Cleaver. 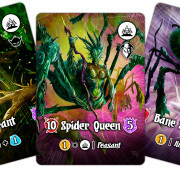 What makes this deck builder unique and really impressed me was how streamlined your deck stayed with the option to thin it every turn (while scoring). 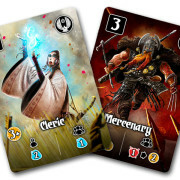 Afterlife is a standalone expansion that contains an all new set of Artifact cards that can be mixed or combine with the base game for more variety and support for additional players. 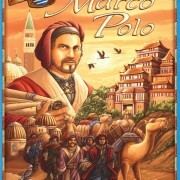 Relive Marco Polo’s journey to China in this dice allocation game. 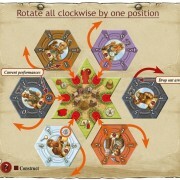 Players roll five dice and then assign them individually or in groups to collect resources, fulfill orders, and travel eastward across the board. 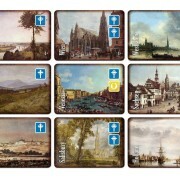 The assignment options give the players plenty of options when assigning dice such that players are provided with dynamic choices rather than being limited by their dice rolls. Thanks for your comments about my Valley of the Kings. 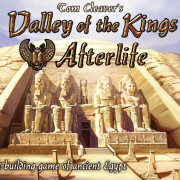 Please look me up at the AEG booth at Origins – or you could see me at GenCon, when Valley of the Kings: Afterlife will be available.